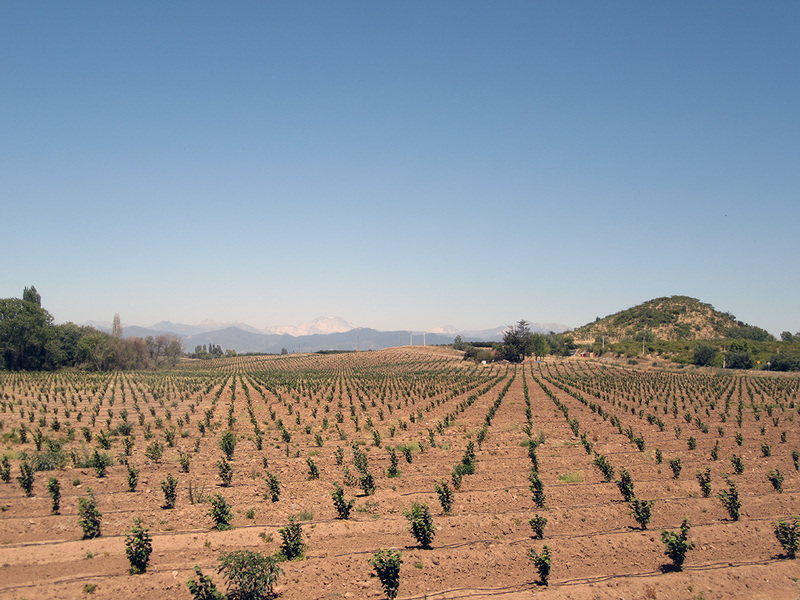 Patagonia unofficially starts around the region of Chaiten, located 1500 km south of Santiago. 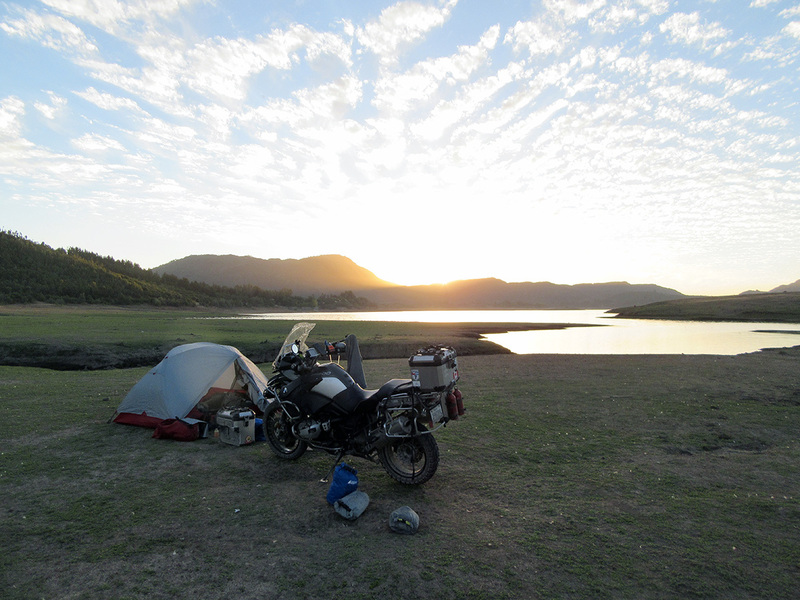 It is perfect this way as this allowed me to get used again to my life on a motorcycle and restart the routine of my trip. 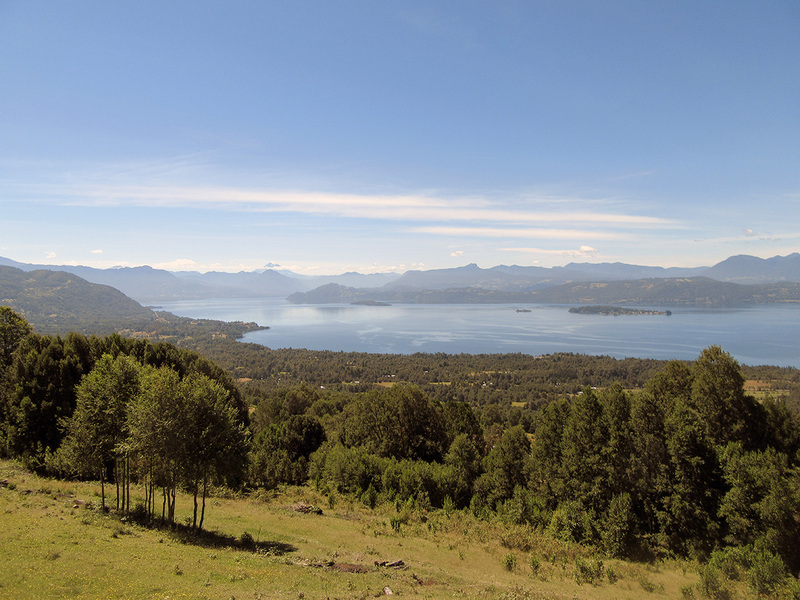 I left Santiago on January 18th with an initial objective to go to Pucon, but since my motorbike got out of the workshop only early in the afternoon, I reviewed my plans. 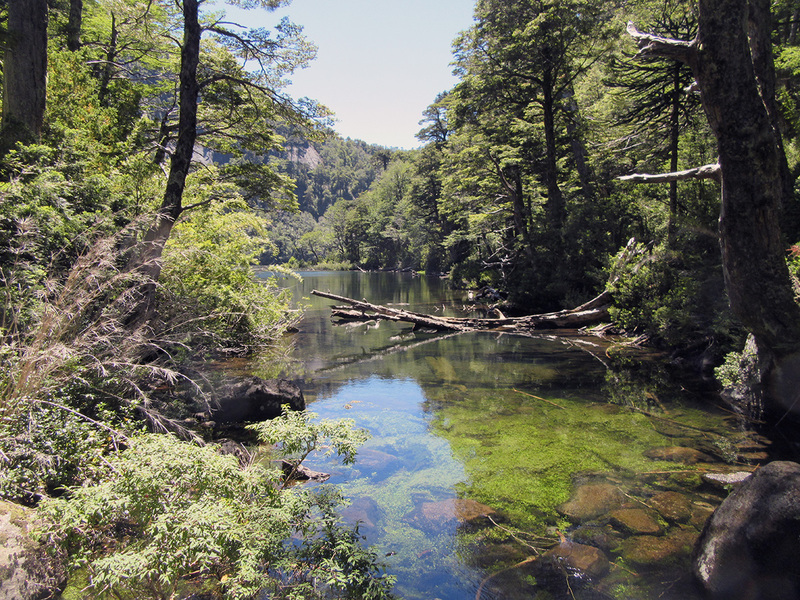 I did not really decide on a destination, if only a big region about 300 km to the south where several lakes are present. With the help of the ioverlander.com website and of its iPhone app, I looked at some places with the possibility of camping, because it was out of question that spent the night in a city. 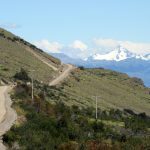 I also took my time by taking the small roads and that sometimes provided gravel portions. 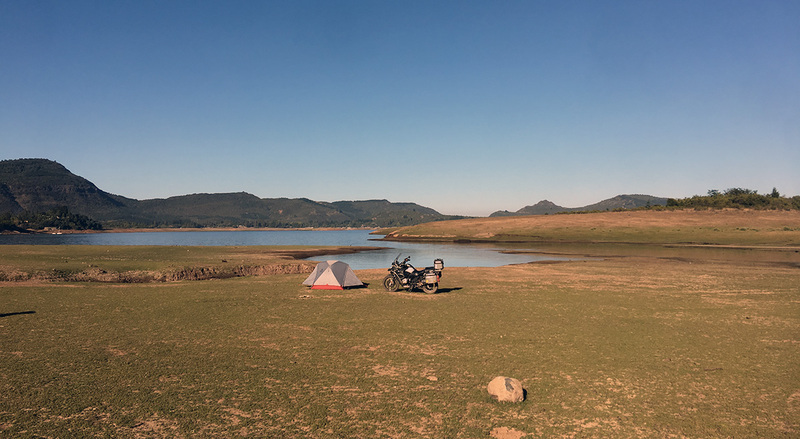 I arrived near the village of Colbùn around 5:00 PM, where I drove a dirt track along a big lake to end up finding in this place all to myself! 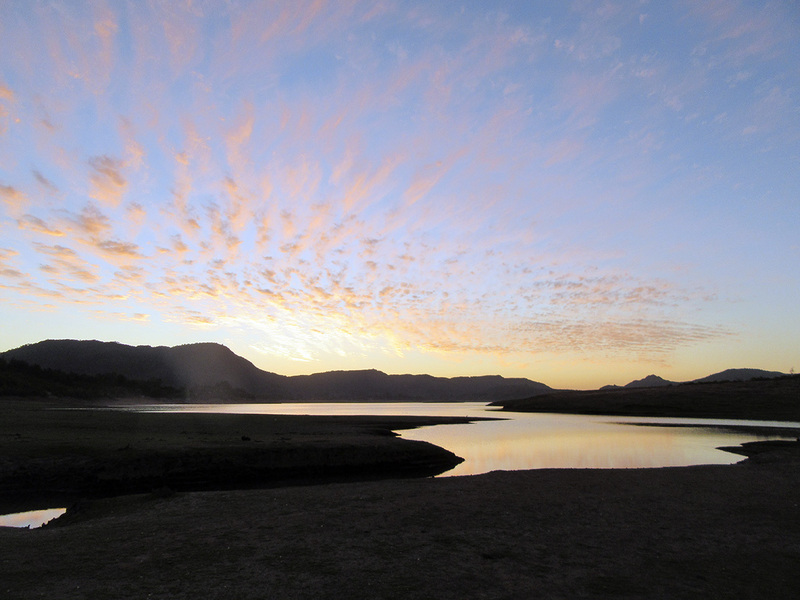 I spent a quiet evening, even if my Chilean friends have to make noise that seems to cover the whole country as soon as the sun sets. It is nevertheless sad to waste such a quiet place with loud boom boom music. But I nevertheless appreciated the moment and I woke up the following day quite late. 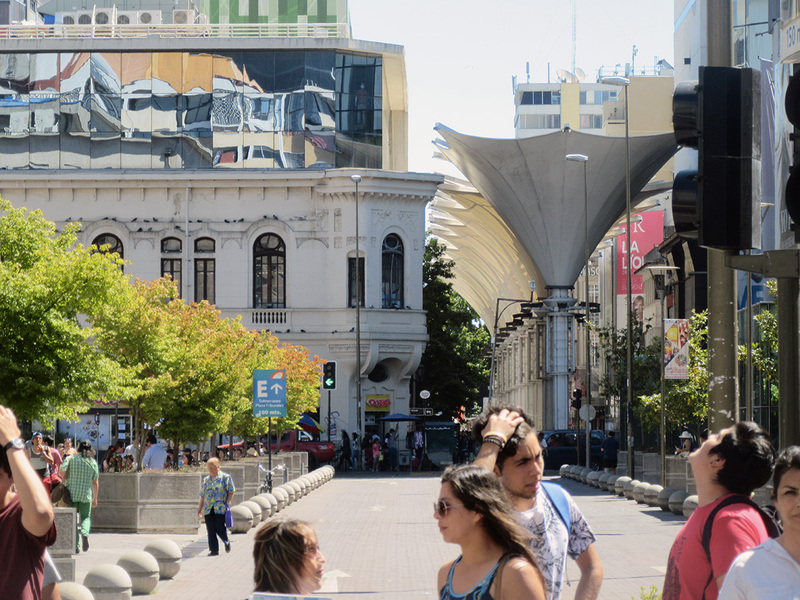 I slowly lined up my things and set off around 10:00 AM to get to a big city which I was always curious to visit, Concepcion. I took the time to reserve a hostal but unfortunately, when I arrived, the room was not available anymore and I had to go to only other available low-cost establishment, but it was so disgusting! Thank God it was only for a night! 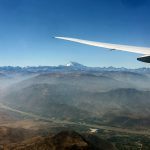 It is not obvious to find cheap accommodations in Chile. On top of that, I have 2 very important criteria. First, no dormitories. My apologies, but I passed the age! Also, the place must have secure parking for my motorbike. 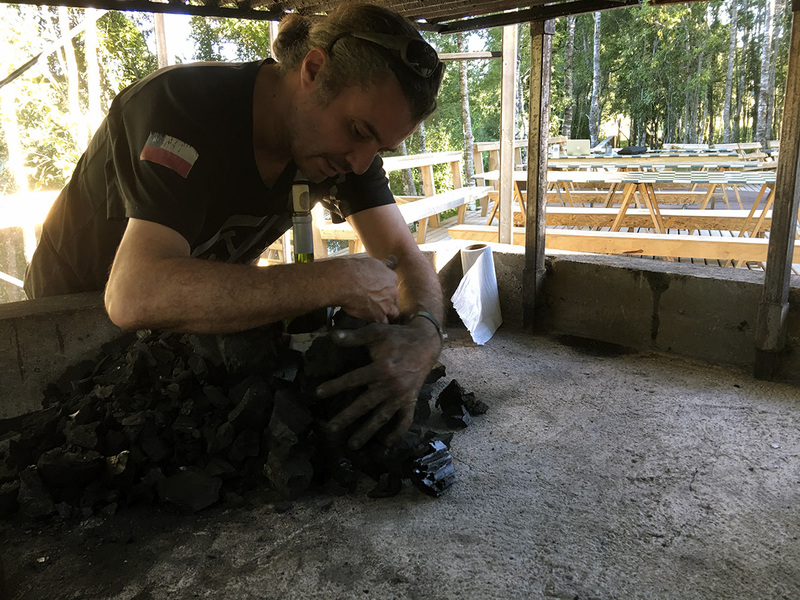 If I had a 100$ budget per night, it would not be a problem, but I try not to spend more than 40$/night for this country, and it is proving to be a real challenge. The road between Colbùn and Concepcion reminds me of some places of California and Canada. 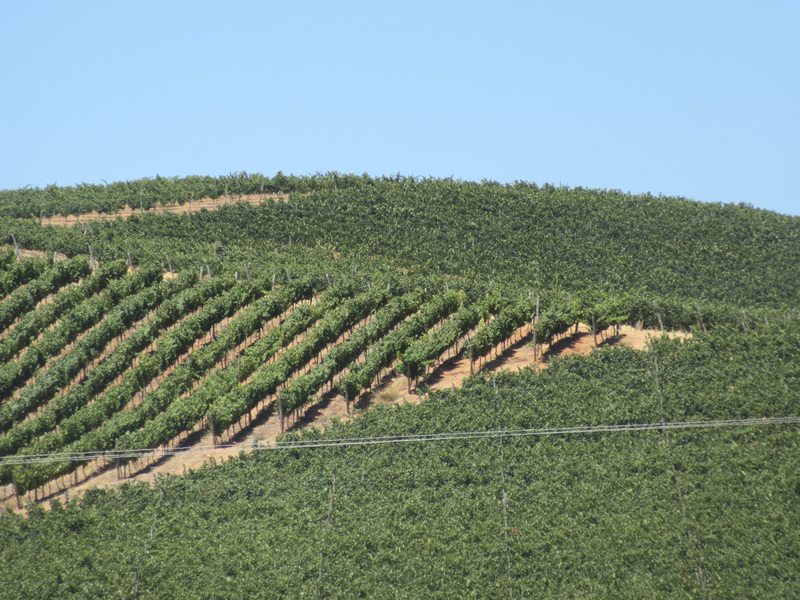 At the beginning, climate is very dry, there were several vineyards and I crossed countless wildfires! 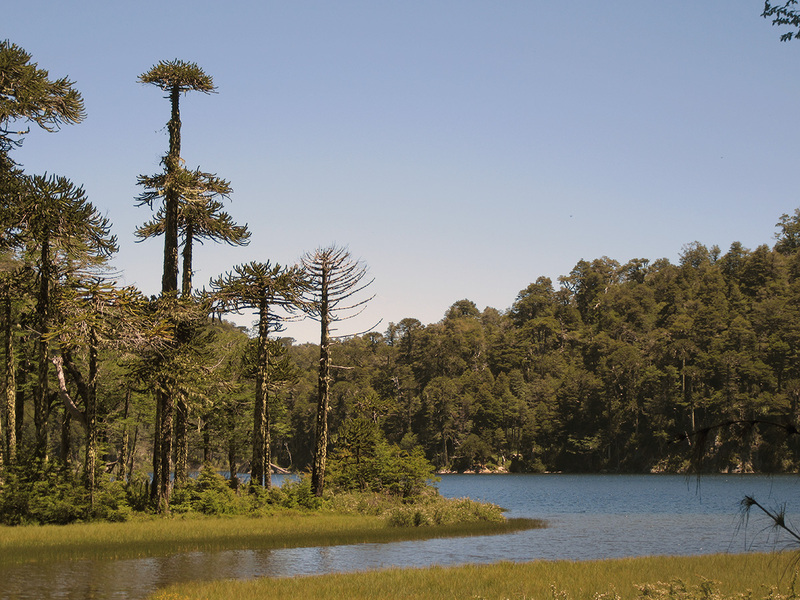 Then, things progressively change to forests with large pines and the smell is exactly the same as in the Laurentides region, north of Montreal in the Quebec, during our beautiful summers. I programmed my GPS not to use the motorway, therefore I got lucky and found myself driving alone on small quiet dirt tracks along farms and forests. It was very quiet and I appreciated driving slowly during several hours. 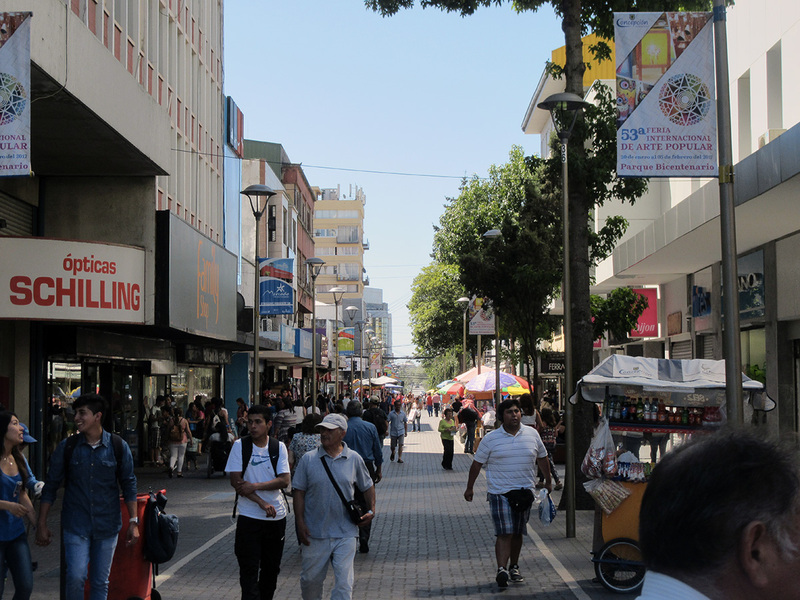 It’s centre is not very refined in terms of restaurants and boutiques. The city is also a bit dirty. It is sad, because it is obvious that the local administration went thru a great deal of trouble to construct modern and sometimes impressive facilities, but by looking closely, maintenance is not there and it spoils the show. As you can see, it is not, according to my criteria, a detour that was justified. 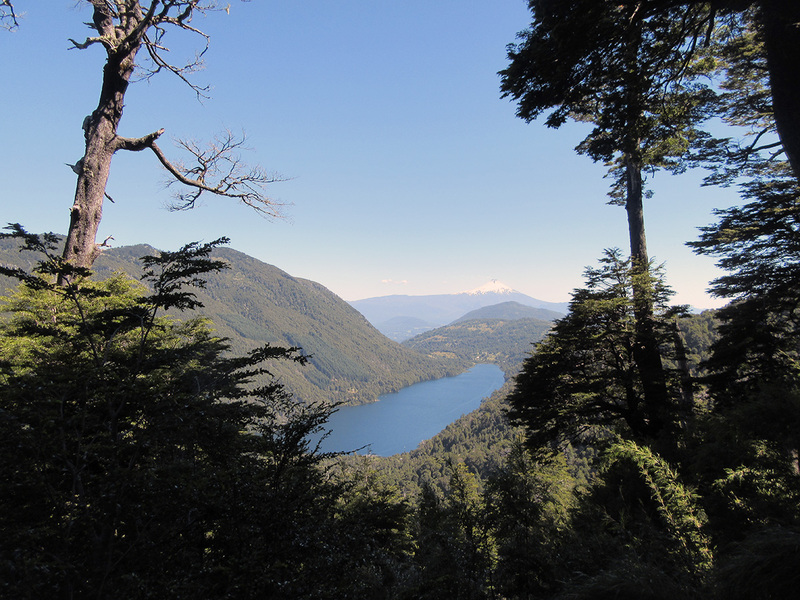 On January 20th, I headed for the region of Pucon. The road was correct, and once again, very similar to the roads of Canada. 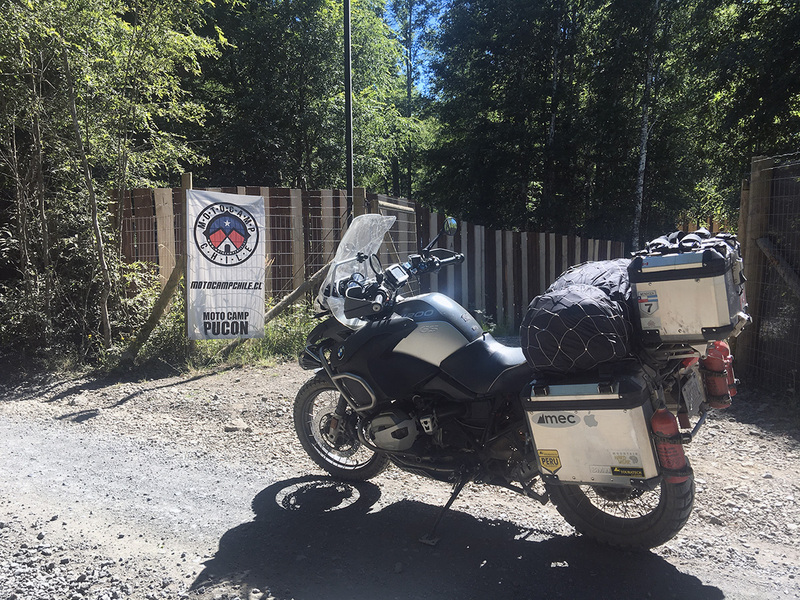 I tried to take the country roads, which are much more fun as the 90 kilometres which I had to go through on the highway 5 were not interesting at all. 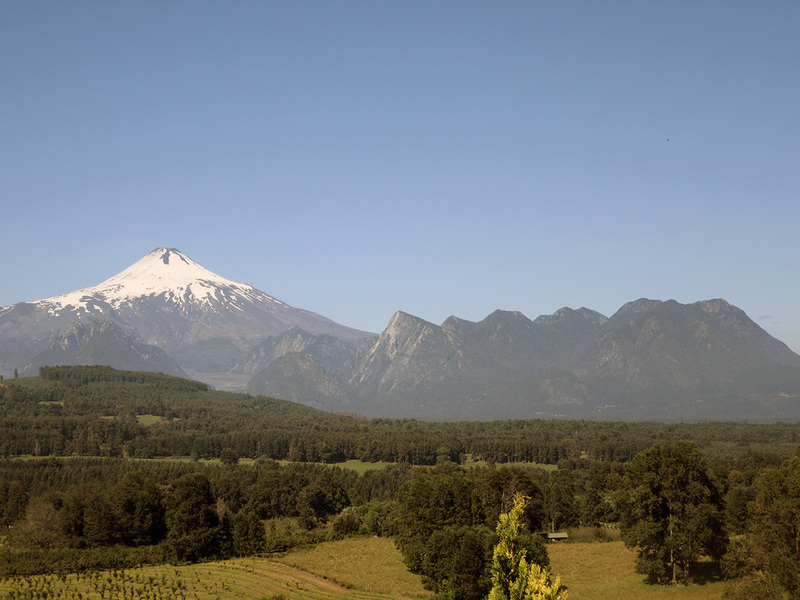 When I got on the road leading to Pucon and passing thru Villarrica, it was a complete mess. I think that half of the population of the country arranged to meet in the region for this summer weekend! 2 cities are overcrowded and as it’s more than 30 degrees Celsius, I only made a quick stop, because I was a very warm in my motorbike gear. 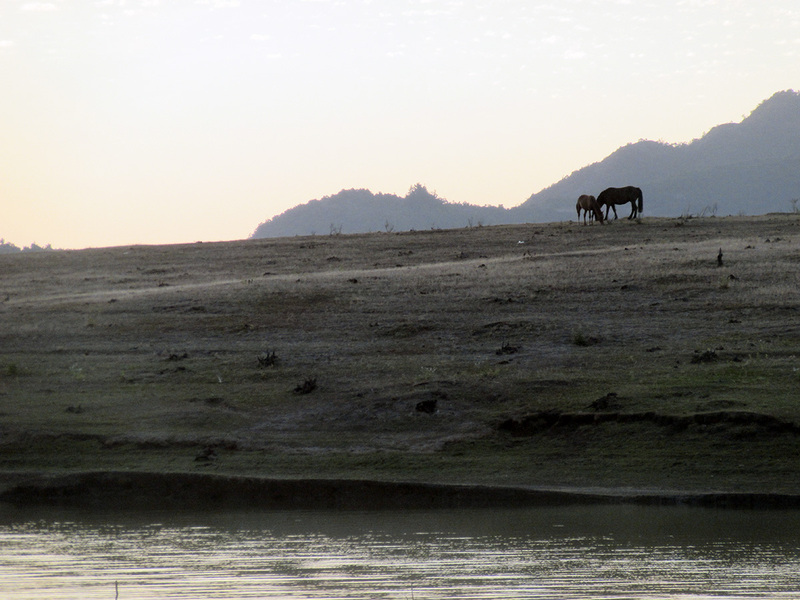 I headed directly to a hostal that I had reserved online, located about 20 minutes outside the city. 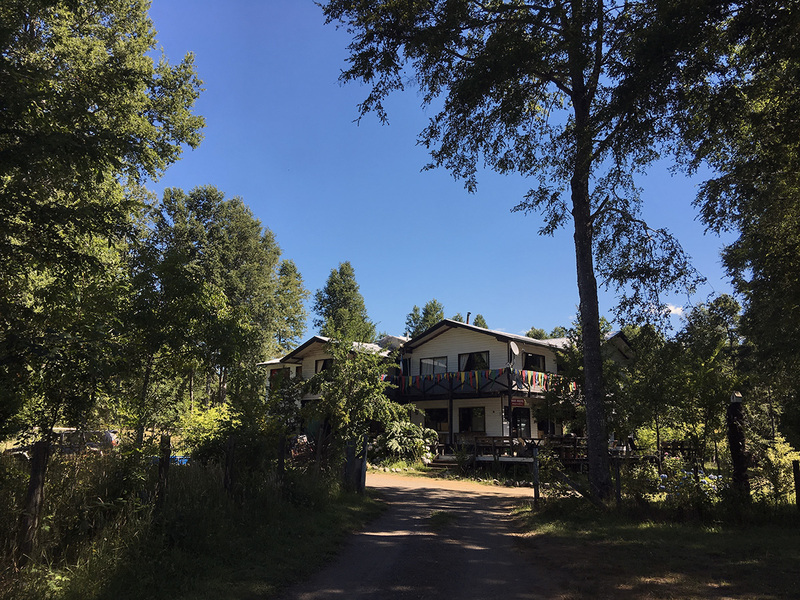 The place is a cottage with several rooms that are rented to tourists. As it is now custom, it was quiet during the day, but at night, when all clients were back, it became rather busy! The owners are great and helpful, but a single night here will be sufficient! 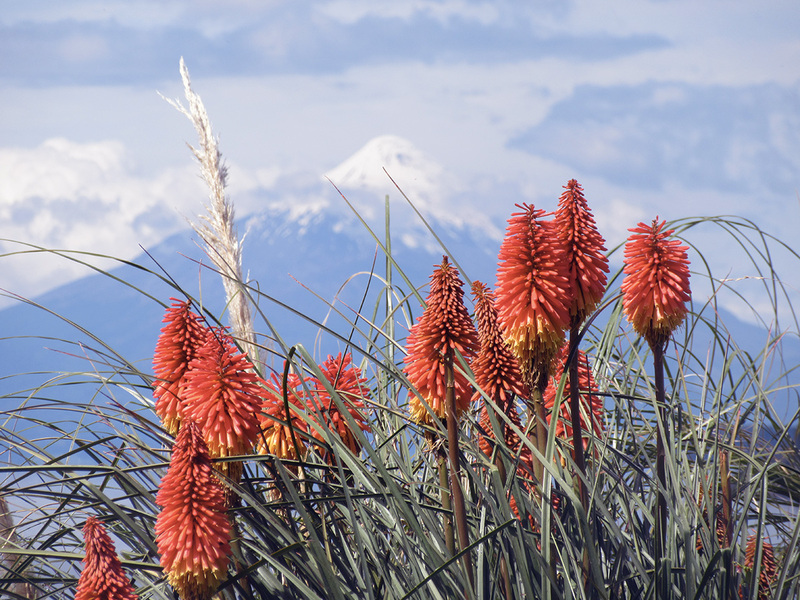 I was nevertheless took the time to take a nice walk to have a better view on the volcano called Villarrica, which besides being an important attraction for the region, is really splendid and imposing. 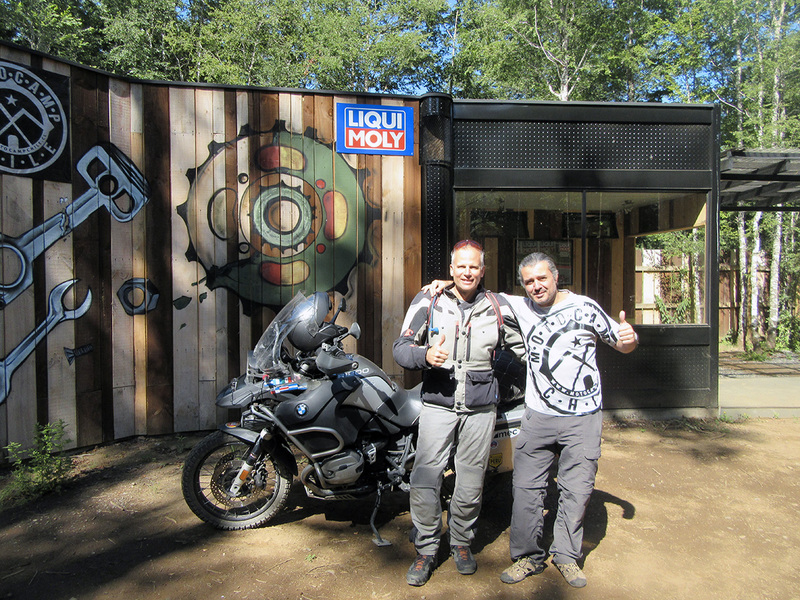 On the 21st, I packed my bags and headed for a mystical place at the motorcyclists Motocamp Pucon. 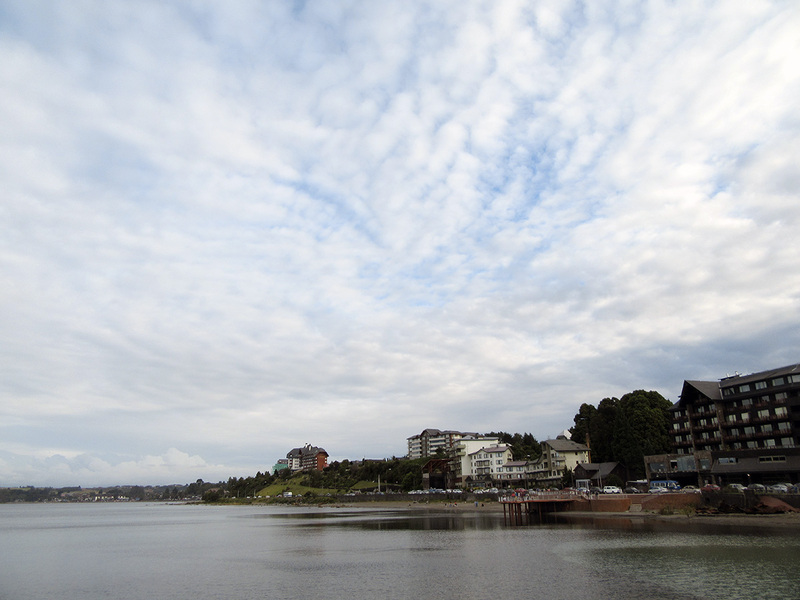 I was hesitant to arrive during the weekend, but it was not justified and it is a wonderful place (I come back to it a little later). 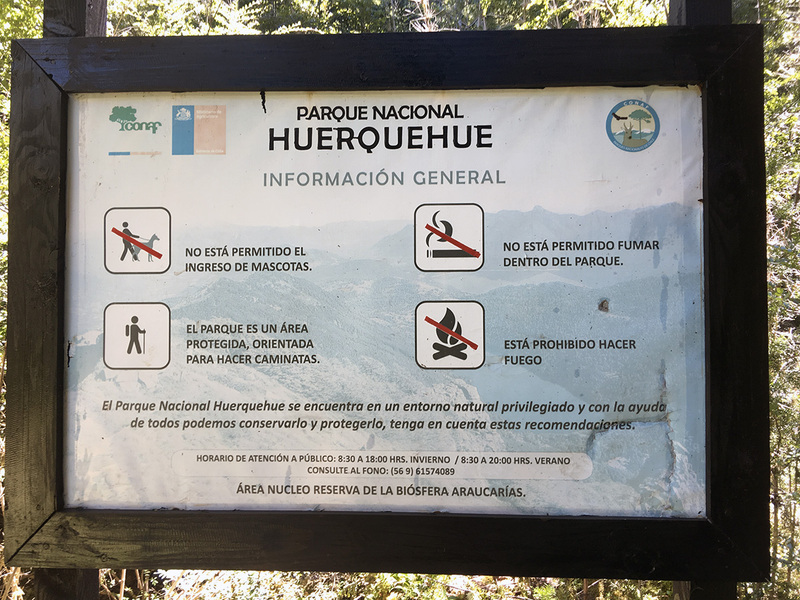 I left my things there to rive to Parque Nacional Huerquehue to do a quick hike in forest. 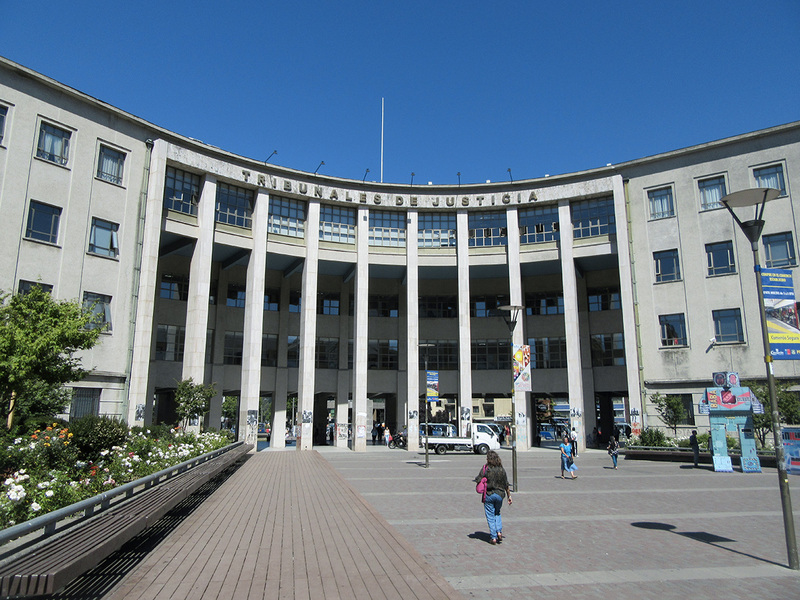 The place is very touristy and it is only a few kilometres of walking that I could really enjoy the moment. 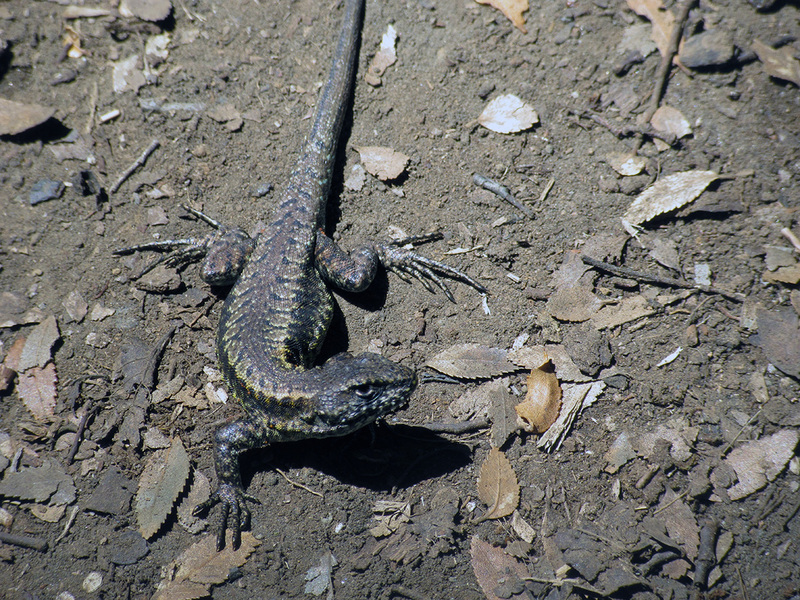 A new friend, not at all impressed by my presence! 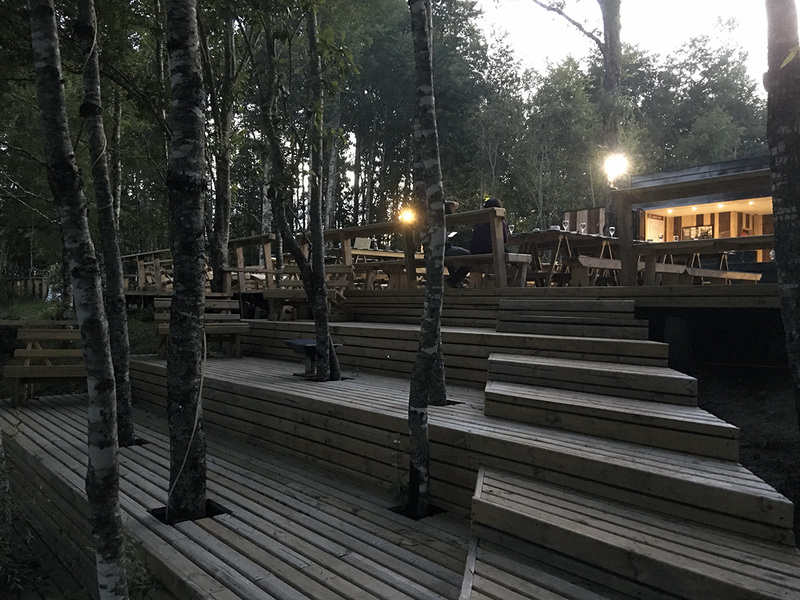 At the end of the day, I set up my things on one of the tables of the big terrace at Motocamp Pucon to spend a quiet evening and working on my blog, but the this was fast transformed into a small party. 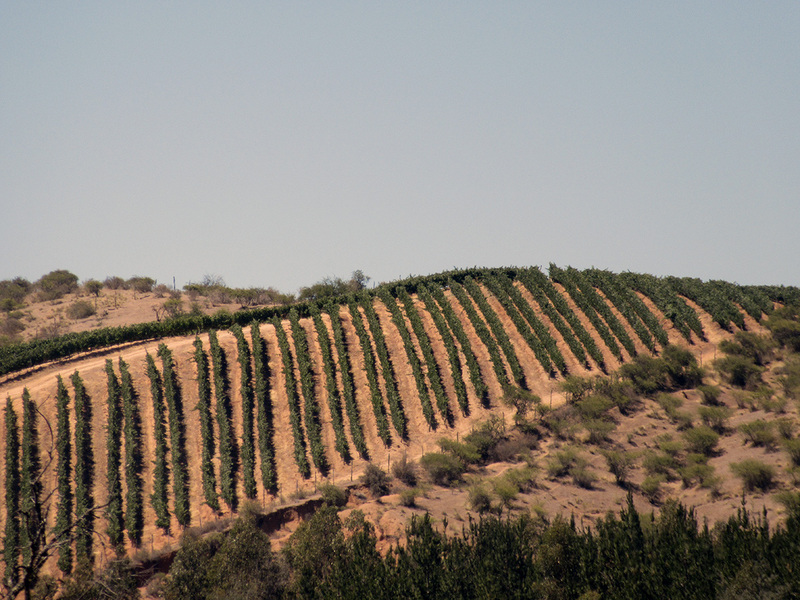 I got to bed way too late, and I drank way too much Pisco, thanks to a fellow Chilean rider!!! Thank you also to Christian, the owner of the establishment, for his warm welcome and his good advice! 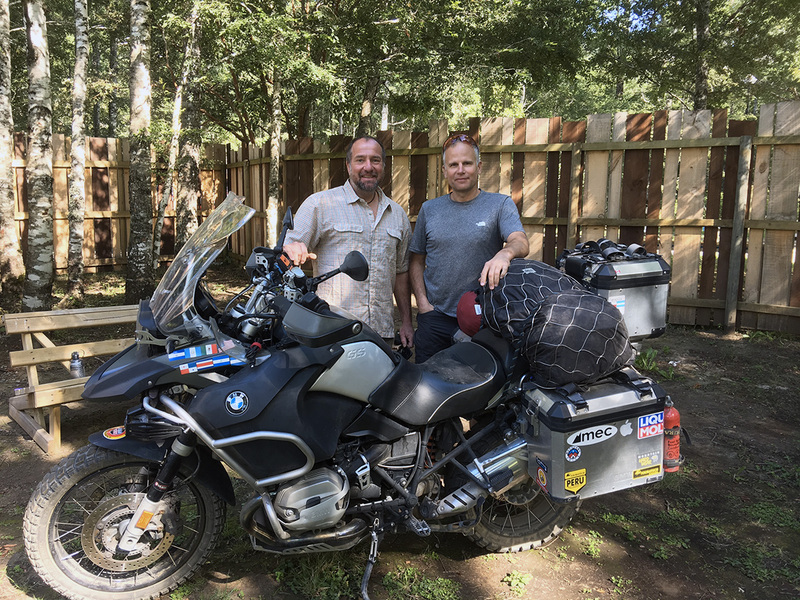 A truth overlander with a motorcycle round the world trip under his belt! Small side note on this place which is simply incredible. His owner is not only an adventurer, he is also an architect and this marriage of knowledge make the place perfect for travellers like me. 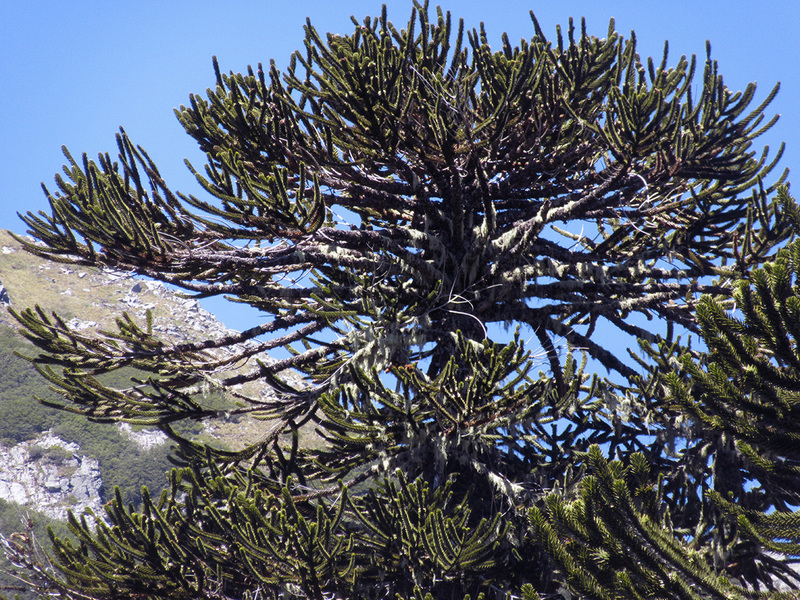 Do not to miss if you are in the region, even without a motorbike! A note of 10 out of 10! 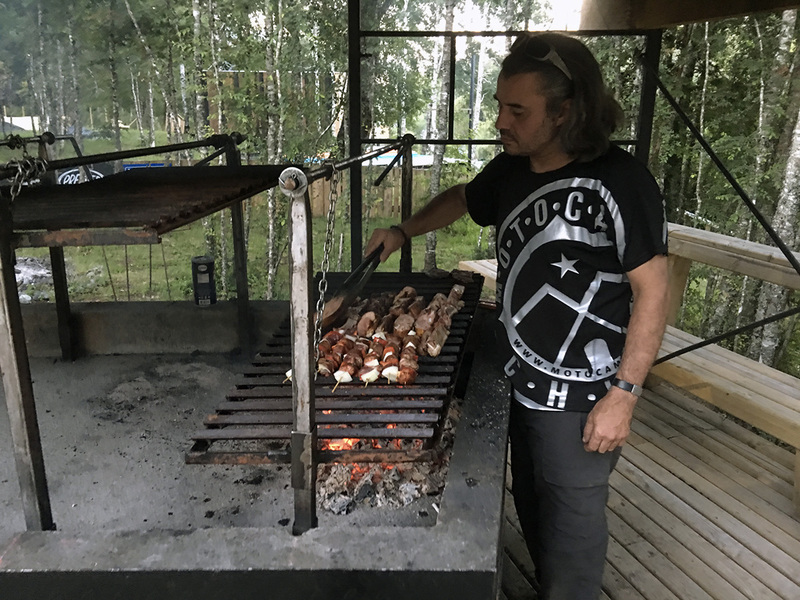 He is also a very good cook, starting with his great technique of the artificial volcano to light his BBQ! Only on match is needed! The following morning, it was a bit difficult to get up, having quite a headache! 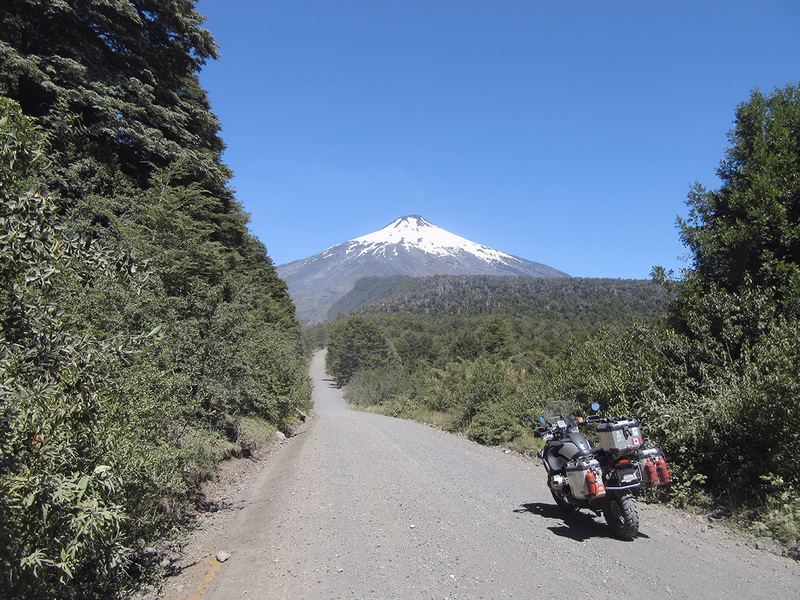 I nevertheless took some time to work on the bike and later, I drove to the ski centre located at the bottom of the Villarrica volcano. 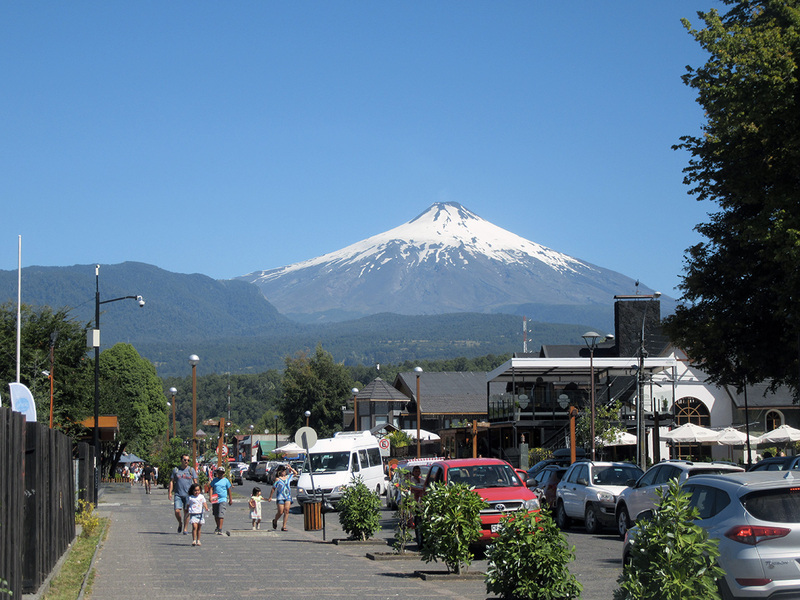 I then parked the motorbike and walked a bit in the city of Pucon. Interesting, but not my type of place. Way too many tourists! 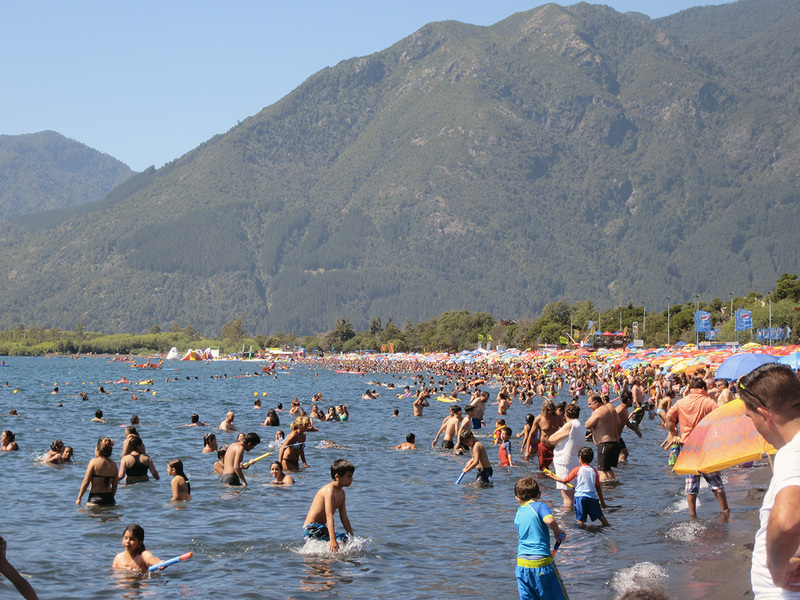 The beach was completely overcrowded of Chileans! It was even difficult for me to get to the water to take a picture because it was so packed! Not my type of place at all!!! The city is a bit of a bad crossing between Banff and Ogunquit during a 4th of July long weekend! 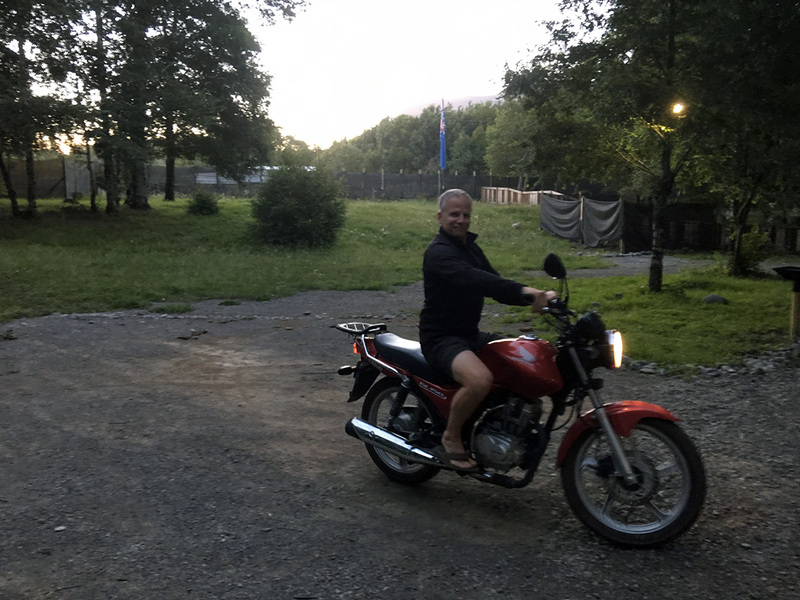 I also had the privilege to try a small and very new motorbike. It so much different from my bike that I looked and felt like a beginner! 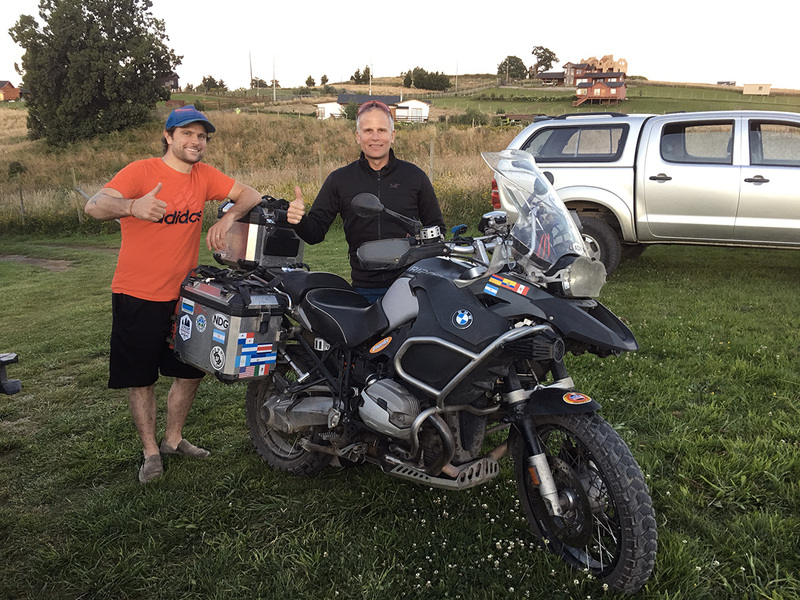 I also met Thomas (and his spouse) who arrived directly from Germany 5 days ago and are also making their way south on their BMW 800GS! 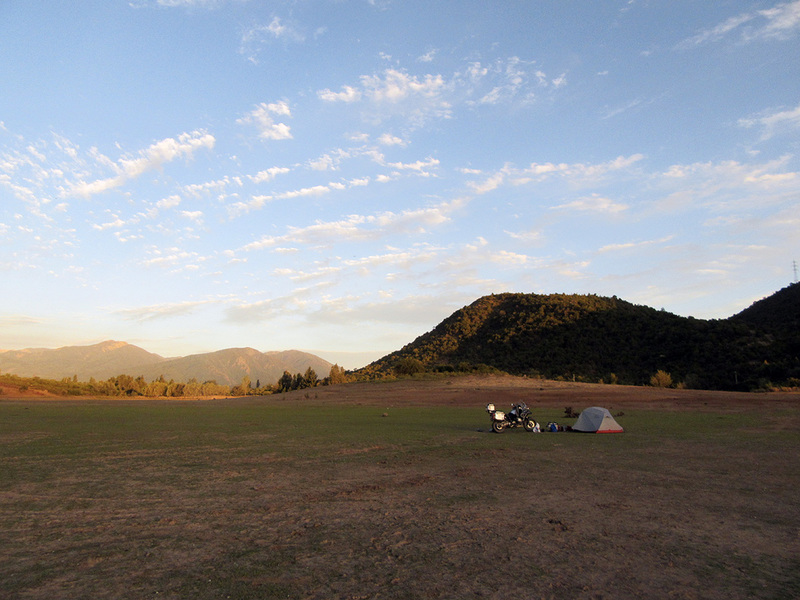 Departure from Motocamp Chile was a bit difficult… It is such a great place! 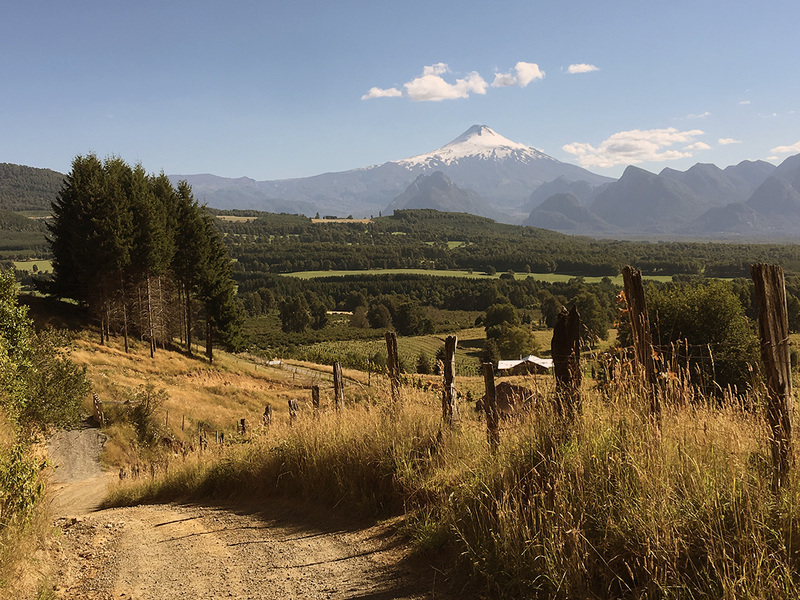 But the landscapes driving towards Puerto Varas, especially when using the small roads, made me forget what I left behind! 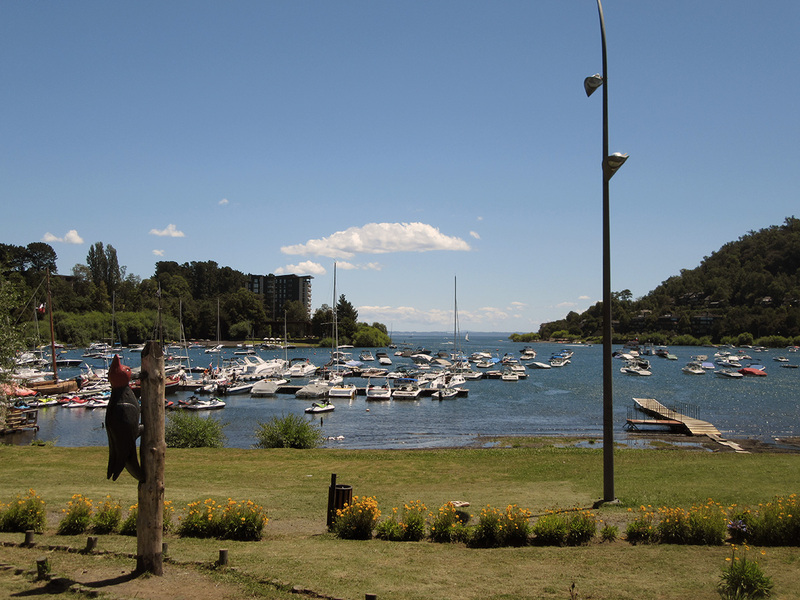 Puerto Varas is also very touristic, but in a much more lesser than Pucon. I feel much more comfortable in this type of place. It is, however, necessary to mention that it was a week day. I might also get very crowded during the weekends. 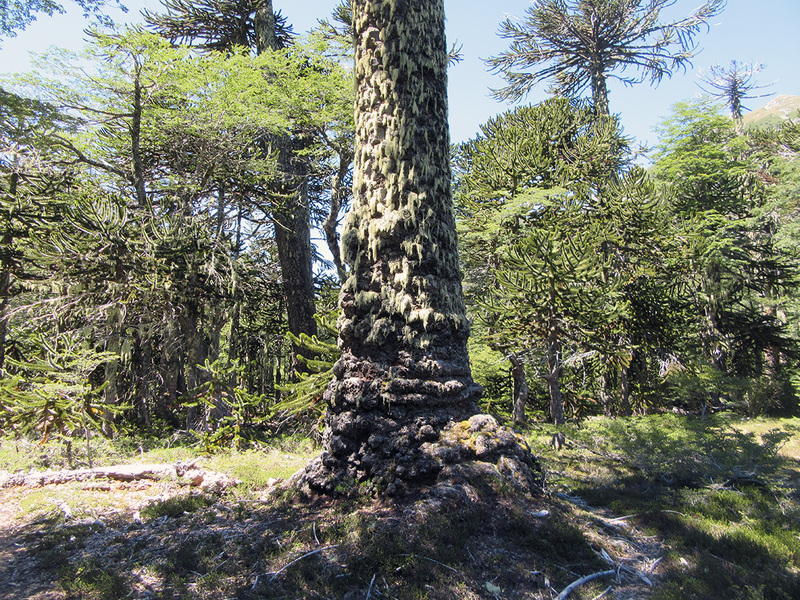 Besides, as you can determine from the photos, the Patagonia climate begins to sets slowly but surely! Some weeks ago, when I had had problems with my suspension, I reached for assistance on the Internet, and more precisely, on the Facebook page from Horizon Unlimited. 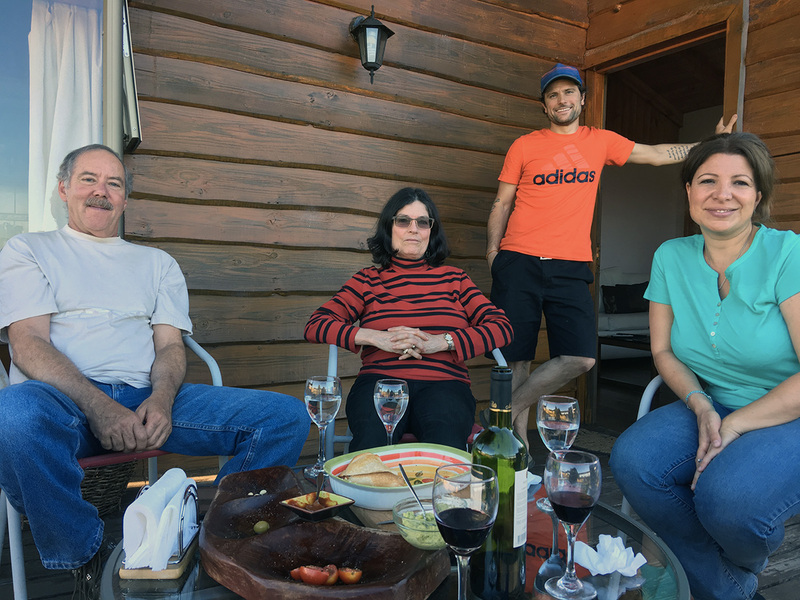 One of the persons to give me judicious advice was Daniel Palazzolo, an American from Atlanta, but but who now resides in Puerto Varas with his Chilean spouse. 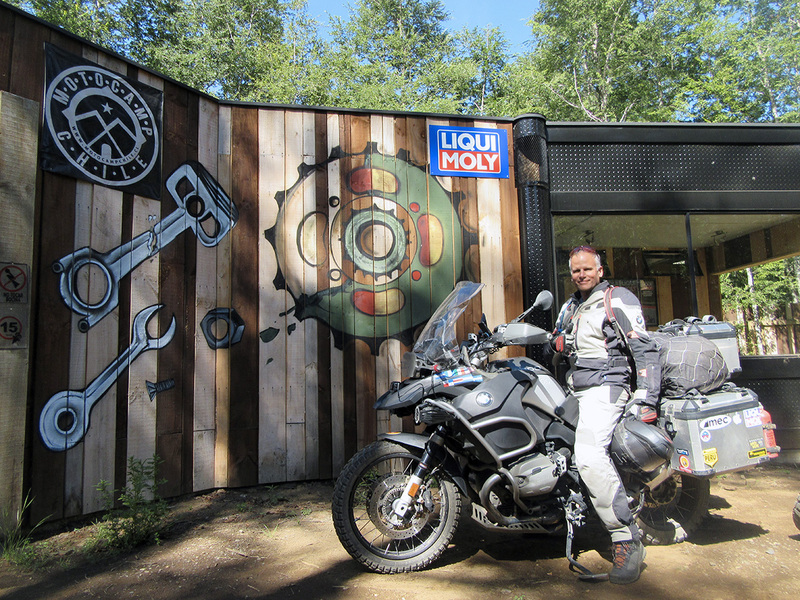 He is an accomplished mechanic, but also an experienced businessman at the head of Motorbike Patagonia, a firm providing motorcycle expeditions in the south of Chile. 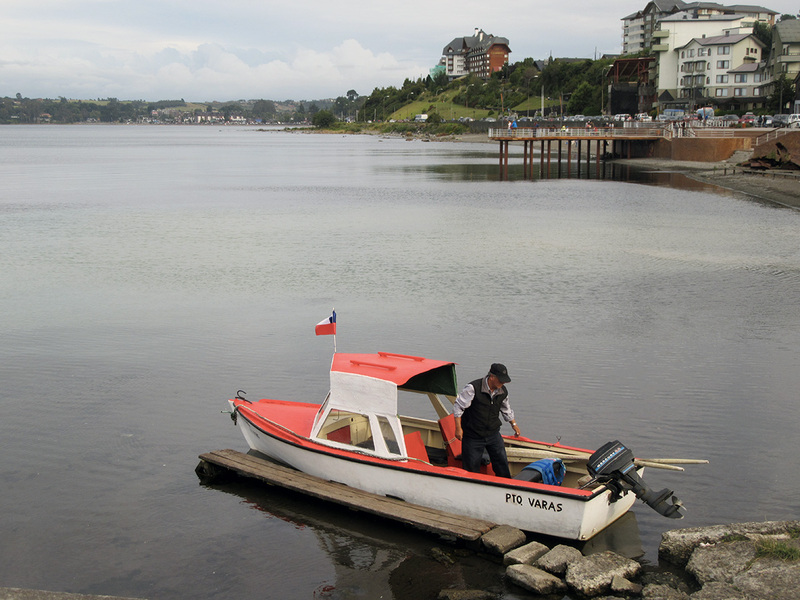 We kept in touch and I ended up changing my route, which was supposed to go thru Puerto Montt, to meet him in Puerto Varas. 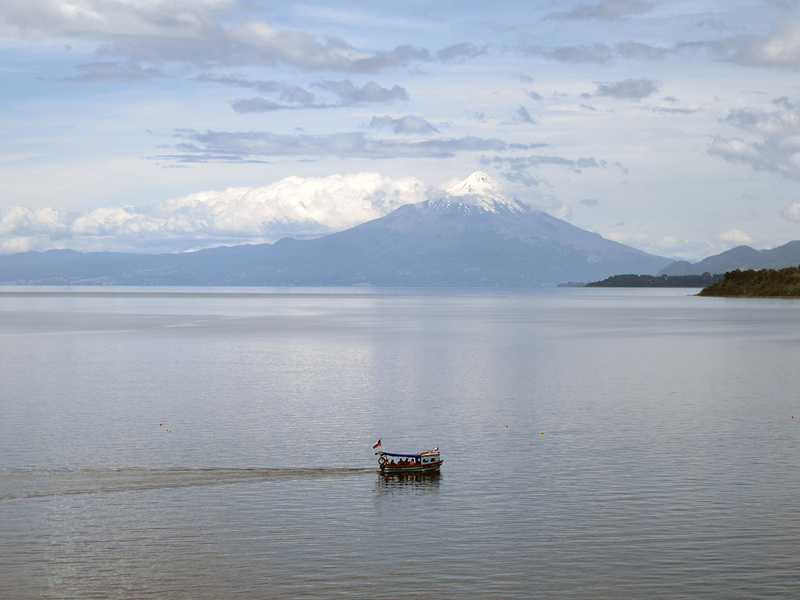 We went out for a couple of cold beers in the evening of January 23rd and he helped me to optimize my plans for Patagonia. He also proposed a tour of the region the following day, but the sky was a bit grey and I really had no energy to drive for anything else but to advance southward, therefore I took the time to go for a much needed 10K jogging session along the lake, and even had a small siesta in afternoon!!! Once again another great story with terrific photos. You are dealing with crowded sunny beaches. Would you like to trade with me and shovel the snow on my driveway? Some of the forest scenes could be north of Montreal. Very similar. Have fun. Relax. Be stupid sometimes. 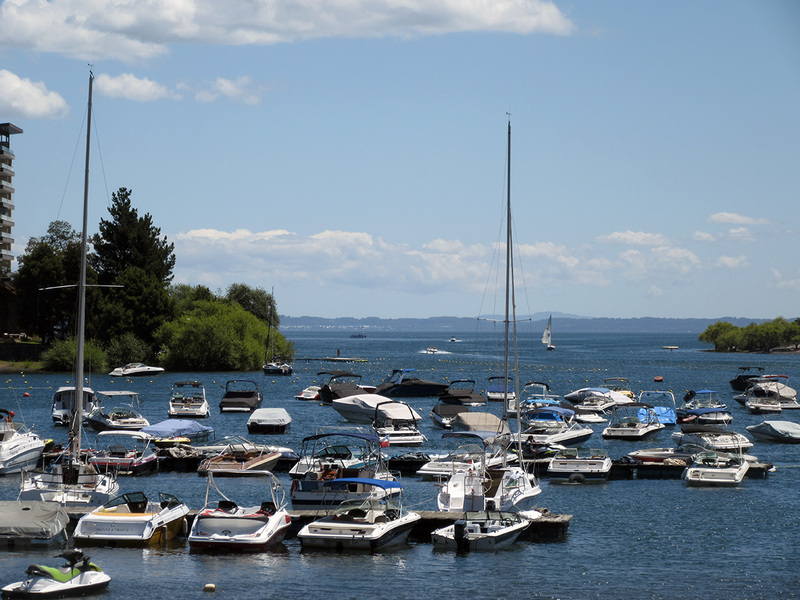 But don’t miss your ferry ride! Be stupid? Don’t you think me being here on a f… motorcycle isn’t stupid enough??? Kidding appart, which you could be here too! It would make to stupid part easier!